500ml | 8.2% alc/vol | Our first ever “Rare Release”! Only 24 hand-numbered bottles produced! 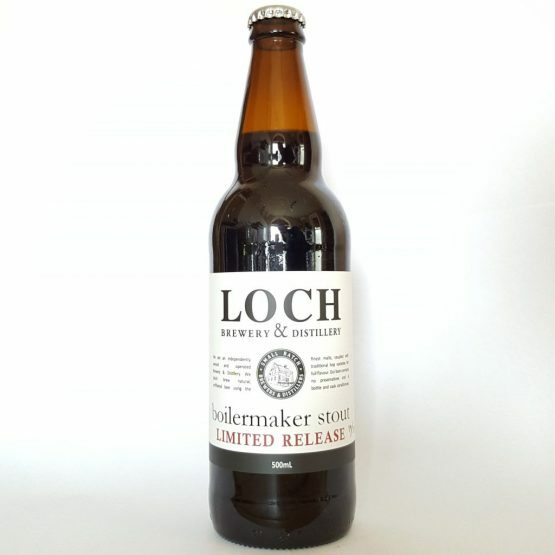 Rich, sumptuous Oatmeal Stout blended with clear Dark Ale malt spirit straight from the still. An extra special strong stout for those cold Winter days. Our first “Rare Release”! Only 24 hand-numbered bottles produced! Taking the 2016 limited edition Oatmeal Stout which is a rich full bodied stout at 6.1% ABV, we have added a shot of our Dark Ale malt spirit to the bottle. This addition of clear spirit straight from the still deepens the malt flavours and adds a wonderfully rich spirit aroma to the smoothness of the oats. Available exclusively for pick-up from the Cellar Door from September 2016 for a extremely limited time!